The UEFA Europa League does not have the prestige of its big brother, the UEFA Champions League, so identifying ante-post bets in the competition is difficult because not every team that participates in the tournament takes it seriously. One can almost guarantee that all 48 teams that will play in the UEFA Europa League group stage are out to win the title but, unfortunately, eight UEFA Champions League rejects will join the UEFA Europa League party before the knockout stage commences and sides that drop down into the consolation competition have a history of not giving 100 per cent. Criminally, only one bookmaker – Boylesports – is quoting any UEFA Champions League team in its UEFA Europa League market, with Boylesports offering odds of 3.00 that one of eight latecomers lifts aloft the trophy. Chelsea did just that last season but one has to remember the dynamics at play at Stamford Bridge. Chelsea owner Roman Abramovich sacked Roberto Di Matteo because the Blues were making a pig’s ear of their UEFA Champions League group and, while Rafael Benitez was unable to rescue that particular cause, he was on a mission to win a piece of silverware. Chelsea treated the UEFA Europa League with much more respect under Benitez than it would have done under Di Matteo and/or if it had been in hunt to win the English Premier League crown. Is it worth waiting until the UEFA Europa League gets down to 32 sides and the UEFA Champions League rejects are out in the open? Certainly one could back one or more UEFA Europa League participants at this point and have a stake saver at odds of 3.00 with Boylesports so that one chops out in the event that one of the latecomers wins the tournament. One must note that the 3.00 quote means that Boylesports is, effectively, allowing punters to back each of the eight UEFA Champions League rejects at odds of 24.00. That feels about right given that only three teams – Tottenham, Fiorentina and Valencia – are likely to kick off the UEFA Europa League at shorter odds. It is one way to approach the event. Of the definite UEFA Europa League competitors, Tottenham is a perfectly legitimate play at odds of 11.00 with Coral. The independent Euro Club Index ranks Tottenham as the strongest side in the UEFA Europa League by quite some margin and its numbers suggest that Coral’s odds of 11.00 may be something like three or four rolls over the top. Tottenham is defying the loss of Gareth Bale to Real Madrid, with Spurs manager Andre-Villas Boas doing some good business in the transfer market. Tottenham does not look weaker than this time last term and its English Premier League finishing position will have as much to do with the likes of Arsenal and Liverpool improving as anything that it does. 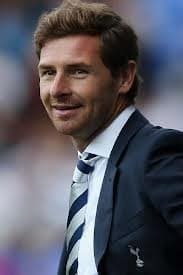 Villas-Boas masterminded Porto’s UEFA Europa League triumph three seasons ago so he has an affinity with the competition and English teams have a decent record in the tournament lately. Chelsea won the UEFA Europa League in 2013 and Fulham made the 2010 final. Tottenham chairman Daniel Levy and his associates have spent a lot of money in line with the club’s famous motto – Audere Est Facere, which translates as To Dare Is To Do – and so Villas-Boas will be extra keen to deliver some silverware. Tottenham has not won a trophy since 2008 and it had gone 17 years before that without winning something of substance. Tottenham’s draw in UEFA Europa League Group K is a kind one as it has been placed alongside Anzhi, Sheriff and Tromso. Anzhi is falling apart at the seams because its owner is refusing to continue splashing out millions, while Sheriff and Tromso are two of the tournament’s lightweights. That bookmakers are quoting Tottenham at odds of 1.01 to reach the knockout stage is justifiable given the section. The pick of the UEFA Europa League group bets is in Group K as well. As touched upon above, Anzhi is imploding as former Brazil defender Roberto Carlos predicted that it would once Guus Hiddink walked out of the door. Anzhi is trading at odds of 1.35 to qualify for the UEFA Europa League last 32 even though it has not won any of its eight Russian Premier League games and several stars have flown the coup in recent weeks. Sheriff could catch out Anzhi in the first round of UEFA Europa League Group K matches – Tottenham hosts Tromso in the other clash – so back the Moldovan side at odds of 4.25 with Bwin to get through to the knockout stage.